What will be your first reaction upon seeing a black soap which would supposedly lighten your skin? Unbelievable, right? When I saw this bleaching black soap at the Snoe Bloggers Party I was so curious and interested to try it out. I have tried out a charcoal mask from Saizen, a dead sea salt mask which comes in color black too and the Pond's facial wash which comes in color black. Forgot what it's called. Sorry. So, when I saw this, I mean, come on! A black soap? I wouldn't miss it! 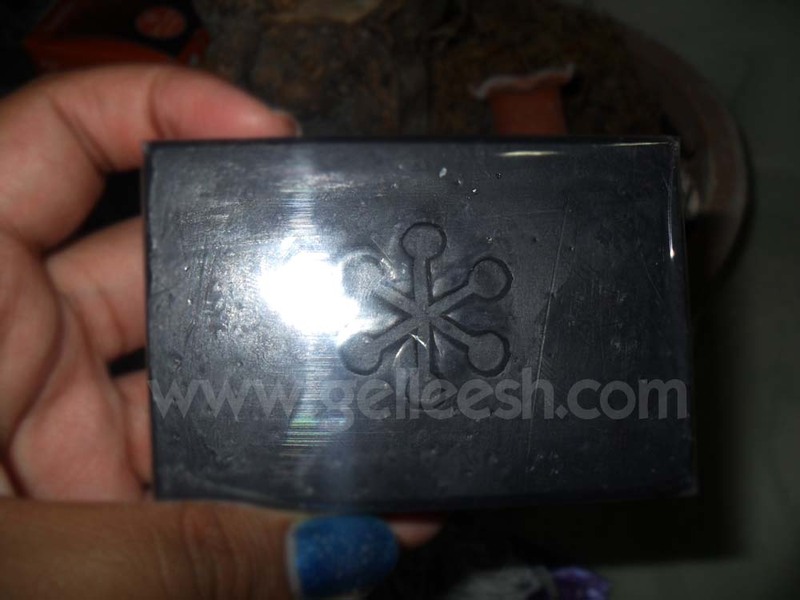 First thing you'd notice is the chic packaging and snow flake logo embedded in the soap. So cute! But it's not all about the cuteness because this product will let you feel that it's working. For me it is actually a pro that I can feel a stinging sensation when I use this product on my skin. It makes feel that it really is going deep into my pores working. For some this may be a con because they might not like the feeling; but I actually did like this. It doesn't have a funny scent so no need to worry about not wanting to use it because of a scent. After using, you'd feel like it has tightened your pores and I couldn't even do a full smile because of it. Make sure to consult your trusted dermatologist before using this product and that you don't have a sensitive skin. This might be too much for your skin to handle so it's best to ask the experts. Also, I would recommend that you use a moisturizer afterwards because it might dry up your skin or at least that's how I felt what it does after using. 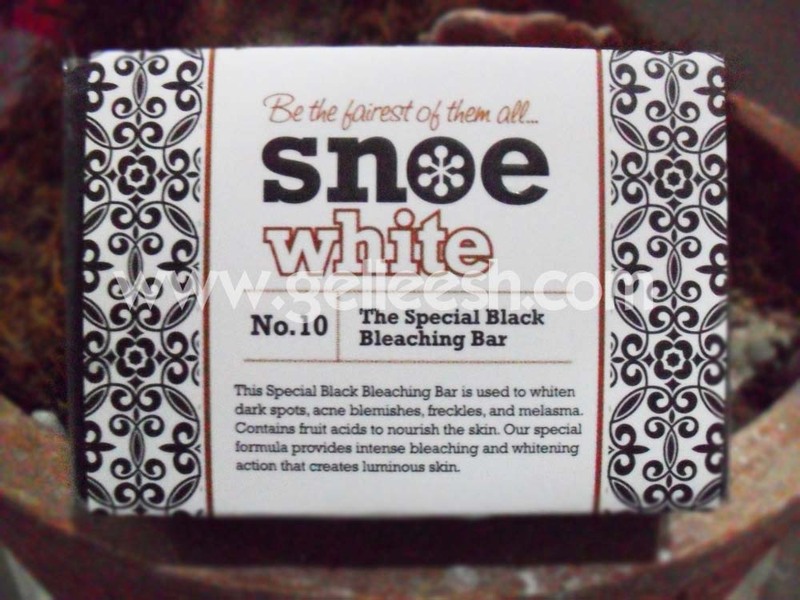 According to the website, shift to another Snoe White Beauty Bar Variant after three months of continuous use to let skin rest. You can resume use after a month. Upon using, leave it on your facial skin for two minutes and five minutes on other parts for a more effective result. It was recommended by the Snoe Beauty attendant at SM Valenzuela. I love this soap and I love the other variants too! I'd be continuously using this and would be giving this one a rating of 9/10. This is a great product which will bring out the best in your skin but not really recommended for people with sensitive skin. Oh and when you use this, don't just rely on the product. Please remove your makeup regularly and moisturize. It's still important to do your daily routine to keep your skin beautiful and glowing. I've used a black soap before, for whitening din. Too bad my derma recommended me to stop using any soaps with whitening components.. >.< Would love to try this kung pwede lang sana. I'm all for whitening products but they never usually work on me! if this works I really need to get some! Glad it worked for you! From their beauty line I only got to try the red one (Kojic w/Glutathione). Its a bit drying for my liking but I'm just glad my ever trusted moisturizer took care of that teeny tiny problem.. Can't wait to try out their other stuff! Great blog by the way.. I just followed you! Anonymous: Ang lakas naman ng loob mo manlait! Ipakita mo nga picture mo. Tignan natin kung maganda o pogi ka. Panget naman talaga sha eh. And her skin looks dirty. My gosh kung ganyan kulay nya after using the soap, ano kaya kulay nya before? ?